The Vienna guide to hotels, places and attractions, Austrian businesses and more. There are plenty of great places to shop in Vienna, from Naschmarkt to MariahilferStrasse, but although it’s great to explore in the fresh air, sometimes you just want somewhere warm and dry to continue scooping up a few bargains or picking up souvenirs – without having to traipse across half of the city. 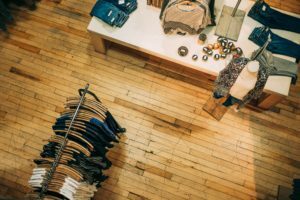 Fortunately, although it may not seem like it surrounded by the historical center, Vienna has some convenient shopping centers where you can do just that. 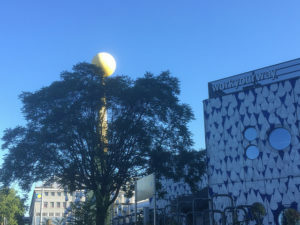 This is both the largest and the most popular shopping center in ‘central’ Vienna – it’s located in the 22nd district, but it’s very easily reached by public transport. The nearest U-bahn station is Kagran, which is just 7 stops (12 minutes) from Stephansplatz. If you have a car, there are 3,000 parking spaces to choose from, which are free for the first three hours. 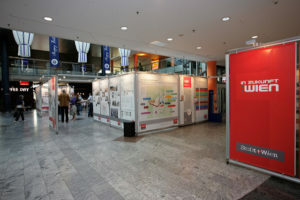 Avoid the weekends if you don’t like crowds, plus on weekdays Donauzentrum closes later, at 8pm. Known as DZ for short, there’s a wide range of over 260 stores here, from health and beauty to fashion to toys. Department stores, restaurants and a supermarket mean that you can easily spend several hours, if not a whole day, exploring. Children will enjoy the play area complete with a tall climbing wall, and the Donau Plex annex is great for general entertainment; the whole complex has WiFi, too. Conveniently located in the first district, near tourist attractions such as St Stephan’s Cathedral and the Vienna State Opera, Steffl is on Kärntner Straße, home to various high-end boutiques and close to the famous Naschmarkt. As it’s so central, access is easy by public transport, whether that’s bus, tram, or via the U-bahn stations Stephansplatz and Karlsplatz. Steffl is perfect if you’re looking for designer fashion and luxury goods, as it doesn’t do much else. The top floor contains the Sky Bar and Restaurant, which provides stunning views to savour while sipping some cocktails. You can also find a bust of Mozart on the 7th floor, as the building that used to stand here was where the composer died. 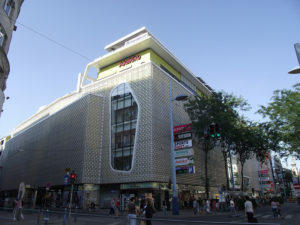 Gerngross is a much less popular shopping location, outshone by the surrounding Mariahilferstrasse in the 6th district. It’s much smaller than other Viennese shopping centers, although it still fits a supermarket and several cafes and restaurants alongside the traditional outlets. Gerngross still provides a pleasant space to escape the weather, though. Also located in the first district, Ringstrassen Gallerien has the unique architectural characteristic of being two buildings connected by a glass bridge: Palais Corso and Kärntnerringhof. The former is a historic monument dating back to the 19th century, and worth seeing in its own right. 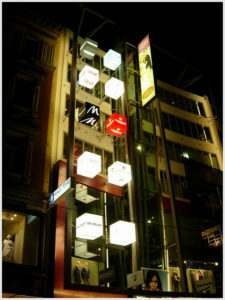 Highlights include the toy store and the chocolatier, as well as various high-end fashion brands. Every other Sunday Ringstrassen Gallerien also hosts an antique flea market. The nearest U-bahn station is Karlsplatz, and there’s underground parking available. 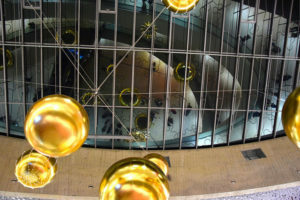 This mall is said to be the most modern shopping center in central Vienna, and is located above the train station of the same name, where two subway lines and the City Airport Train (CAT) meet, amongst others. It’s also a short walk from Stephansplatz, and there are 470 parking spaces. Visitors usually say that it’s quite a modest size, with around 60 shops, but large enough to be a convenient place to kill some time shopping or eating while waiting for a train. 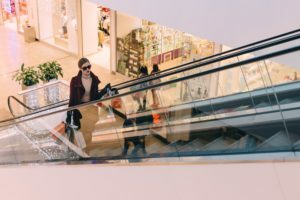 The final two shopping centers on this list are less centrally located, which means that although they’re larger and open later, they’re less convenient to reach without a car and much busier at the weekends. As the names suggest, they can be found to the south and to the north of the city center. 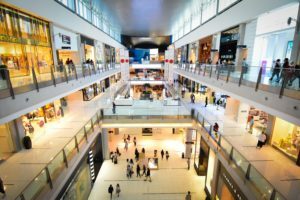 The first, known as SCS for short, is one of the biggest shopping centers in Europe – it contains around 330 shops and megastores. SCN, as it’s known, is home to fewer individual shops, but contains an entertainment complex with a cinema and paintball. The surrounding area also has various furniture and hardware stores. Whether you’re looking for somewhere to kill a few hours away from the elements, or if you want to shop ‘til you drop in one convenient location, Vienna has all of the options you could possibly want: luxury, child-friendly, historical, and modern. Many are only a stone’s throw away from popular tourist spots, and easy to reach by public transport, so you can enjoy them with minimal effort.